Minyoung Hwang: Minyoung is a fifth grader at Churchill Road Elementary School in McLean, VA. He is interested in lots of things, trying to do as many as possible. He is an enthusiastic violinist and pianist, avid swimmer, pursues anything science and mathematics. His interests in science and technology started when he was very young, playing with different level of LEGOs. He has actively participated in math competitions, and Science Olympiads. Rohit Narayanan: Rohit is a third grader who attends the Potomac School in McLean, Virginia. He is currently nine years old. Born of Indian parents, he has been interested in math, science and how things work since an early age. As a three year old, his favorite costume was an orange NASA astronaut suit. At the age of four, he played an astronaut in a summer theatre camp. At five, he enjoyed the space simulators at the Smithsonian Air and Space Museum. At seven he survived a trip in the Red space launch simulators at EPCOT (with high-G forces). 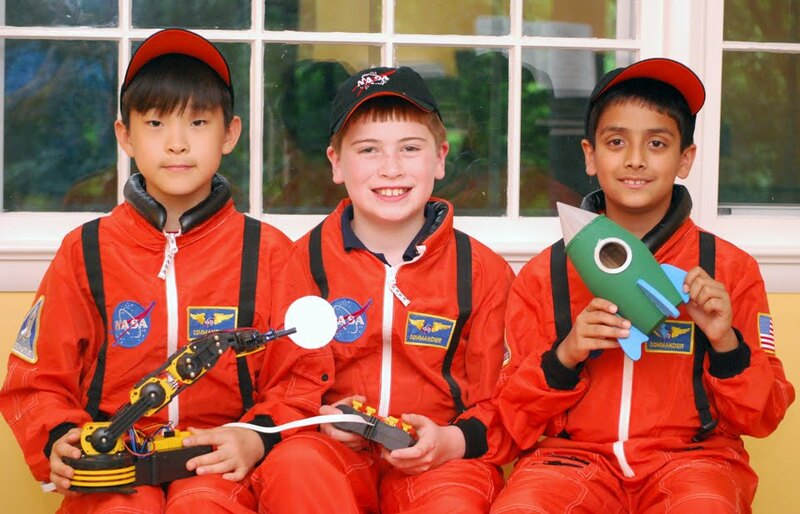 Last year, he attended a space-and-stars–themed music camp. His interests include writing plays (thrillers, especially), theatre, keeping a journal of amusing school stories, mathematics, swimming and robotics. His favorite family photo is of a family vacation at the Kennedy Space Center with the whole family, including his four year old sister, afloat in space. Gabriel Wimmer: Gabriel is ten years old and an aspiring scientist. He is a fourth grader at Churchill Rod Elementary School in McLean, Virginia and an active participant in the Mclean Robotics Institute. His passion for science was sparked as a kindergartner during a visit to the Maryland Science Center in Baltimore, Maryland. In addition to his elementary school science courses, Gabriel is pursuing an advanced science curriculum as part of Johns Hopkins University’s Center for Talented Youth. Gabriel enjoys science, botany, skiing and kayaking. He resides in Mclean Virginia with his parents and three younger brothers.